The Spectrum Center is committed to enriching the campus experience and developing students as individuals and members of communities using sexual orientation and gender identity and expression as our framework. Our work is accomplished through a student-centered intersectional lens. An investment in the Spectrum Center can help us succeed in our vision of creating an inclusive campus, free of discrimination and where social justice inspires community engagement and equity. Why Give to the Spectrum Center? Annual Gifts are funds that the Spectrum Center can use immediately and where needed most. Each academic year, the University faces unexpected challenges. Annual Gifts from donors like you are vital to ensure our ability to overcome challenges as we help educate and support the next generation of Leaders and Best. Endowment funds supply a never ending source of income to support students, research and programming as specified by donors.  To learn more about the University of Michigan Endowment please click HERE. Education: Training 259 allies on campus and in the community and hosting speakers panels which reached 2000+ participants through 31 classes, units, and organizations in the past year. Collaborative Learning: Connecting University students with LGBTQ teens through a mentorship program at Ann Arbor’s teen center. University students can also support one another in navigating the coming-out process through a peer-led support group and one-on-one mentorship. Community Engagement: Reaching out and including diverse communities in our efforts. In addition, we coordinate on programs that include events around National Coming Out Week, Transgender Awareness Week, Graduation, and more. Leadership and Professional Development: Giving students the opportunity to gain experience working in higher education and organizing for LGBT causes. Our focus is on connecting students with financial need to leadership opportunities throughout campus. Outright Gifts: Gifts of cash, securities or “gifts in kind” make an immediate impact. Gifts in kind include artwork, books and equipment that may be useful to the Spectrum Center. Online Giving: Use our simple and secure online form to make a gift right now using your credit card. Give online by clicking on this LINK. Payroll deduction – choose the amount you would like deducted from your paycheck. Click HERE for more information.